Christine was an incredibly strong and amazing woman whose life revolved around her family, church, and friends. Helping others was important to her and she was always kind and loving to family and friends alike. 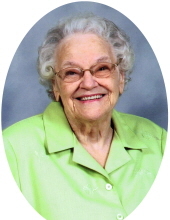 She often said, “to have a friend you must be a friend.” She was a Christian and member of the Church of God. To send flowers or a remembrance gift to the family of Christine Bowling Shields, please visit our Tribute Store. "Email Address" would like to share the life celebration of Christine Bowling Shields. Click on the "link" to go to share a favorite memory or leave a condolence message for the family.